Beautiful custom split level home. Features vaulted ceilings, fabulous views, large bedrooms, plus large bonus room off garage with separate outside access door making this large space perfect for a variety of uses. Wonderful multi-tiered front yard with several lake viewing points. Park like backyard featuring rock patio accessible from both the living room and master bedroom. Lower backyard level with room for a gardening with a large metal shed. Home features lots of storage with large walk in closets in every bedroom, large pantry, built in storage in utility room and oversized two car garage. Family room and master bedroom both feature a wood stove with brick surround. Paved driveway and access roads. Only 3.5 miles from Oakhurst and 4.5 miles to Bass Lake. Easy access to Yosemite National park. 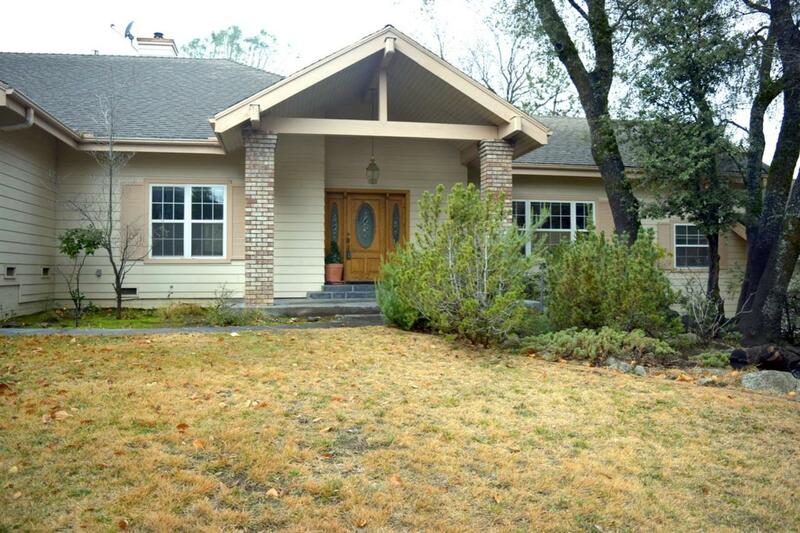 A must see if you are looking for a primary residence, investment property, or vacation home in Oakhurst.